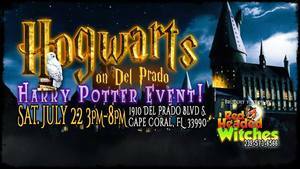 Harry Potter fans are welcome and encouraged to attend the second-ever Hogwarts on Del Prado on Saturday, July 22, from 3 to 8 p.m., at Red Headed Witches in Cape Coral. Guests are encouraged to come in costume. They can learn a spell from a Harry Potter cosplayer, take the potions class, enjoy a butter beer (non-alcoholic), and play the local version of quidditch. The event is free to attend, the classes and butter beer will require the purchase of tickets to attend. 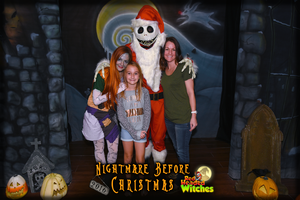 Red Headed Witches specializes in costumes and accessories for all occasions, theme parties, decades, school plays, comic and storybook characters, and traditional Halloween looks. They have a large array of wigs, hats, hosiery, Gothic jewelry and masquerade masks. They also carry high-end, theater-quality make-up lines and special effects make-up like Mehron and Tinsley Transfers for the most serious customers and cosplayers. In addition to the basics, Red Headed Witches has an extensive selection of the hard-to-find parts and pieces that really complete a costume's look. The shop is all "for-sale" items, with the exception of the seasonal rentals for Santa Claus and Easter Bunny costumes. Owner Crissy Barchers always had a passion for costumes, dressing up and Halloween. Combining her business and marketing degree with extensive retail experience, it was a no-brainer for Barchers to pursue entrepreneurship while enjoying one of her passions. She opened her first costume store in fall 2008, for the Halloween season only, in a small, 1,000-square-foot space. "We spent many years setting up and breaking down seasonal stores and growing our customer base, and then in the summer 2012, my realtor friend presented me with the option to rent an old funeral home," Barchers said. "The catch was that it would be a full-term, two-year lease. I took the leap into the year-round costume business!" Her long-term goal is to be able to operate a haunted house out of the old funeral home. "Authentically spooky!" she said. Barchers said she's looking to hold more events in the future. "Our Zombie 5K Invasion is largest event we’ve done off site, held at Rotary Park," she said. "Participants choose human or zombie at the time of registration and can either run the 5k route wearing a flag football style life belt, or undergo a zombie transformation at our make-up station and be staged throughout the course hungry to collect the life flags as the humans run by. "This event helped to benefit the Cape Coral Caring Center. They’ve been around since 1991 and are Cape Coral’s local food pantry. All donations go direct to Cape Coral residents." Local partnerships have been important in the first year of business, as well. Barchers is a friend of the owner of Heroes & Villains. They have teamed up in the past to do character events. He even dressed up as Spiderman at one event, much to the delight of the child attendees. 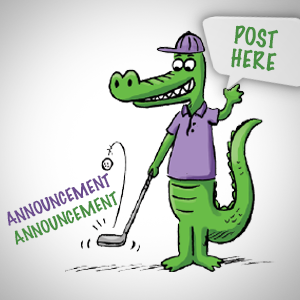 Regardless of the scenario, Barchers and her team are looking to make memorable moments and partake in the Cape Coral community. "We all love to dress up here, so whether you have an idea you are trying to piece together, or no clue what you want, come in and see us!" Barchers said. 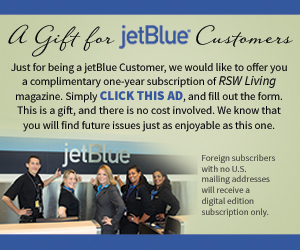 "We are genuinely happy to help you create the perfect look or put on the finishing touch. 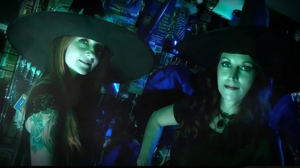 For more information about the shop, to sign up for the "Witches Happenings" newsletter, or to find out more about upcoming events, visit redheadedwitches.com.